St Petersburg Car Accident Lawyer in Seminole | DeLoach, Hofstra & Cavonis, P.A. 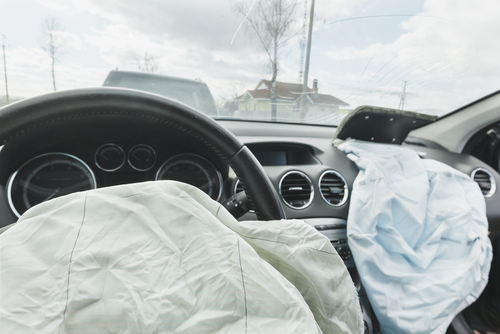 More than three million people are injured and nearly 50,000 are killed in the United States every year in car accidents. If you drive or ride in a car, there is a near statistical certainty that you will be involved in a car accident at some time in your life. Car accidents can be devastating - sometimes deadly. If you have been involved in a car accident, hopefully you've walked away free from harm. But even in the most minor of Florida car accidents, some degree of injury, such as whiplash or minor cuts and bruises can occur. All too often though, head, neck, back injuries, as well as injury to internal organs and limbs happen. You may not even notice until you get to your destination because an “adrenaline rush” effect can happen immediately after a car accident which may mask your injuries. Yet unless you get immediate assistance to evaluate even hidden injuries, you are at risk of compromising your ability to make future claims. DeLoach, Hofstra & Cavonis will guide you through making the right legal decisions at this traumatic time. Alcohol is a contributing factor in about 40% of fatal traffic accidents. Drugs - both illegal and prescription - account for some others. Improper use of seatbelts contributes to more than 60% of fatalities. Distractions, such as cell phones, are an increasing cause of car accidents and resulting injuries. If you have been the victim of another person's poor driving decisions, aggressive legal representation by our attorneys will help you get justice. Call the police so a formal report can be made. Get all available information from the drivers involved and all witnesses. This includes names, addresses and phone numbers, license plate numbers, the year, make and model of the vehicles involved, and insurance information. Don't assume the police officer writing the report will identify all the witnesses. Take pictures of the scene, the vehicles, and any visible injury you have. The camera on a mobile phone typically works great for this. Do not speak with anyone other than the Florida police officer investigating the accident about how the accident happened. Do not admit guilt or innocence on your part. Your statements to the police officer are not admissible in Court. However, your statements to others at the scene are. Seek the advice of a Florida car accident attorney. If you are injured in a Florida car accident, you need to seek the advice and counsel of an experienced personal injury lawyer. You may be approached by insurance companies pushing you to sign agreements. In some cases an insurance adjuster may rush you to sign an agreement. Don't sign anything or give any recorded statement until you've spoken to an attorney. By working with an experienced Florida auto accident attorney, you can receive the maximum damages possible. If you are in a car accident, contact us immediately and we'll review your case at no charge. You won't pay a thing unless you receive compensation. Don't worry about any upfront costs for legal fees or court costs. Call us at 727-397-5571 or use the form on the right to get started on your free review. If you've sustained injuries in a Pinellas County car accident, you may be anxious and worried about the added expenses such as medical care and you may not be able to work. The last thing you need is the additional expense of an attorney. When you choose DeLoach, Hofstra & Cavonis, P. A. you can relax because you are not responsible for any of our fees or costs unless there is a recovery. We will advance all of the costs necessary to aggressively pursue your claim. We will never ask you pay any of these costs out of your own pocket. So you can relax and focus on your healing and let us do all the work. Contact Paul Cavonis our Florida injury car accident lawyer, day or night, at 727-397-5571.